With the unprecedented increase in global sourcing and the outsourcing of production to lower-cost countries overseas, there is an increasing dependency of supply chains on the reliability of transportation networks as more companies adopt just-in-time techniques. 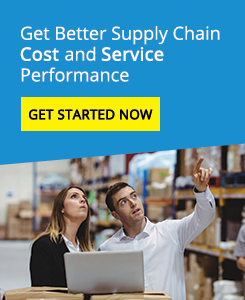 When global sourcing and Outsourcing are combined with just-in-time supply chain practices, the increase in smaller, more frequent consignments also result in an increase in transactions. Adding to the complexity are longer lead times, the involvement of multiple parties, added duties, taxes, longer delays, disruptions, security regulations, and the like. Demand Planning to minimise forecasting errors and avoid stock obsolescence risk. Planning for ‘postponement’ and ‘merge-in-transit’ strategies. Minimising transportation risks and delays. Controlling inland transportation moves and managing interfaces with domestic operations. Bypassing distribution centres and shipping ‘direct to store’. Supplier negotiations and service agreements.